I wanted to post this recipe now if you're looking for something else to add to your menu this weekend. 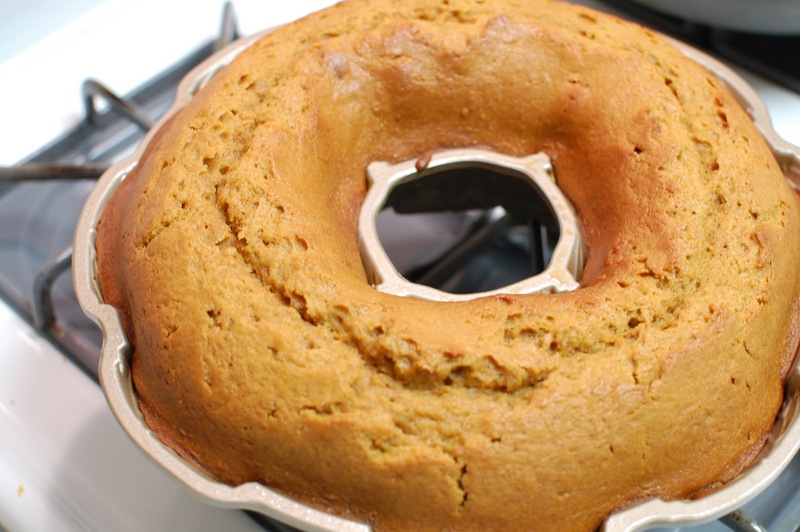 This is the best pumpkin bundt cake I've ever had. In fact, my Mom brought some to the hospital and gave it to the nurses when I was in the hospital. She ended up giving it to the night nurses though which was a bummer since I was on a sleeping pill and they wouldn't be the ones dealing with me when it came time for the delivery. Anyways, I highly recommend making it! Recipe thanks to the Epi App. Generously coat the pan with butter-flavor nonstick vegetable spray or solid shortening, dust with flour, and tap out the excess flour. Position rack in lower third of oven. Preheat oven to 350°F. Cake bakes for 65-70 Minutes. In a medium bowl, whisk together the flour, baking powder, baking soda, salt and spices. Set aside. Add the granulated sugar to the large bowl of an electric mixer and crumble in the dark brown sugar, breaking up any clumps with your fingers. Add the oil and 2 eggs and beat until blended, then beat in the remaining eggs and the pumpkin. Scrape down the bowl and beater. With the mixer on the lowest speed, alternately add the juice or milk and the dry ingredients. When everything is blended, scrape down the bowl, then beat a few seconds longer until the batter is smooth and creamy. Scoop the batter into the prepared pan. 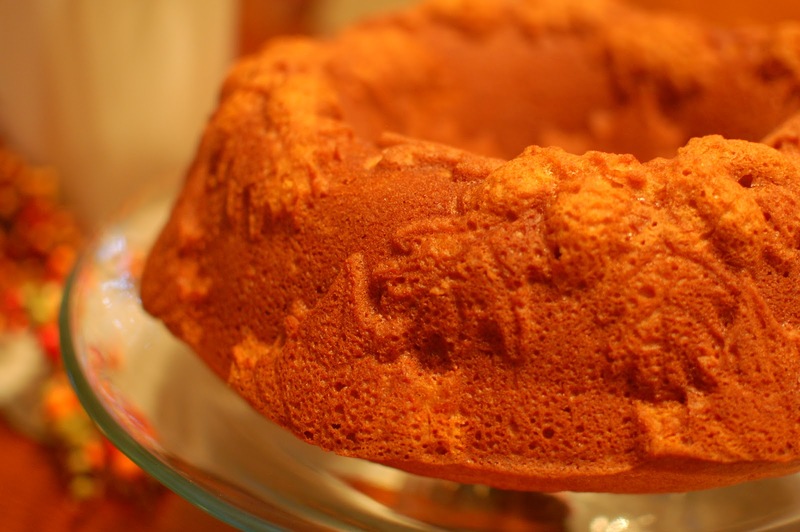 Bake for 65 to 70 minutes or until the cake is springy to the touch and is cracked on top, and a cake tester inserted in the center comes out dry. Cool the cake in its pan on a rack for 20 to 25 minutes. Slide a knife around the pan sides and the top of the tube to release the cake. 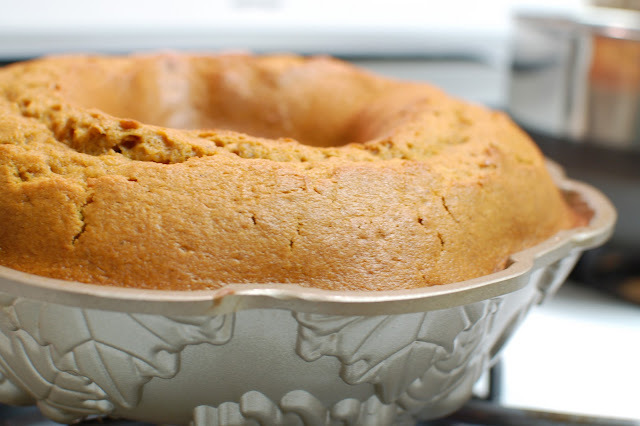 Top the cake with a foil-covered cardboard cake disk or a flat plate, invert, and lift off the pan. Peel off the paper, if you used it. 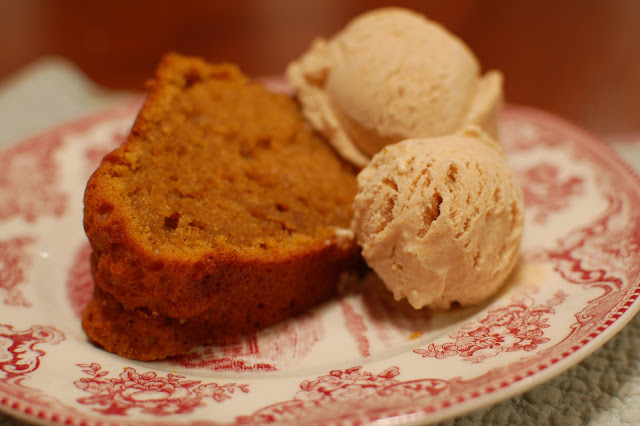 Cool the cake completely then enjoy by itself or with pumpkin ice cream! I was surfing the web when I arrived on your site. You have a wonderful blog. I run a Coupon Deal Website where you will find a tonne of grocery deals from all major grocery stores that you will not find anywhere else. I wanted to ask you for a big favor. Are you interested in doing a link exchange or banner exchange for mutual benefit? Also, would be interested in blogging on my site as a guest blogger. I am sure my site audience would love your posts. If yes then please post a link to my site http://www.grocerycouponmama.com and email me and I will post a link to your site as well.